This tour is customized specifically for foreign travelers visiting Jeju Island as independent travelers. Rather than the famous tourist spots, we you will visit Jeju’s hidden places and give travelers the chance to feel the real Jeju missed by most visitors. Sept 18 (Fri) to Nov 14, 2015 (Sat). 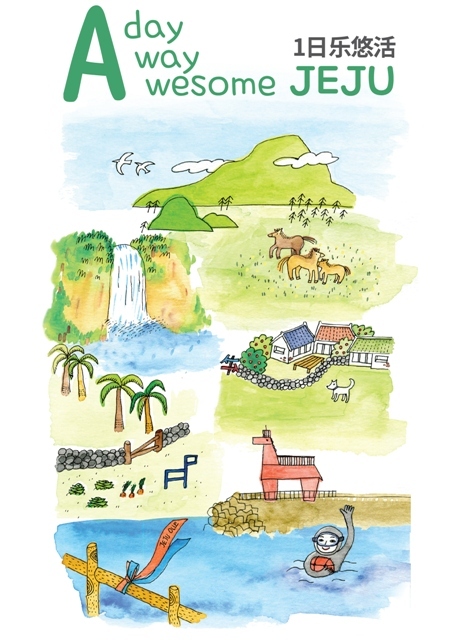 cultural characteristics of Jeju Island. To register: Click on your desired date here and fill in the form. Seogwipo City Hall, cooperated with Jeju City Hall and launched by Jeju Olle Foundation. Ecology Experience Village - Mureng Gotjawal Forest - Andeok Valley. South Route "Walk in Today’s Jeju"